What does "to earmark" mean, and where did the expression come from? We often use the term to earmark an object. What do we mean, and how did the word come about? The expression doesn’t only refer to money. The host may earmark the best steak and chop for his guest of honor. A Football coach may earmark a player in his B team to play in the next match involving the A team. A specific area of grazing may be earmarked for the farmer’s show cattle. An often-quoted phrase, “Tolerance is the earmark of a great soul” is reported as having been said by Jesus, but I cannot find any evidence of it in the Bible. It seems a strange word, but if we separate it into two words, the meaning becomes clear: ear mark. Before the days when it was a common practice to brand cattle with a hot iron, farmers would cut notches into the ears of cattle, sheep and pigs to set them aside from other cattle. That way, they could be clearly identified. This old practice dates back in the UK to at least the 16th century. 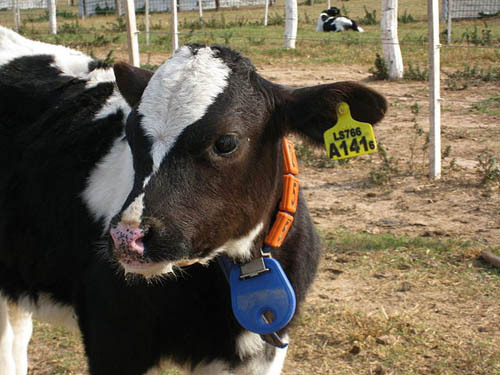 Since the 1950’s, farmers in western countries usually fit their farm animals with metal tags fitted to their ears. These contain details of its owner, date of birth, etc. 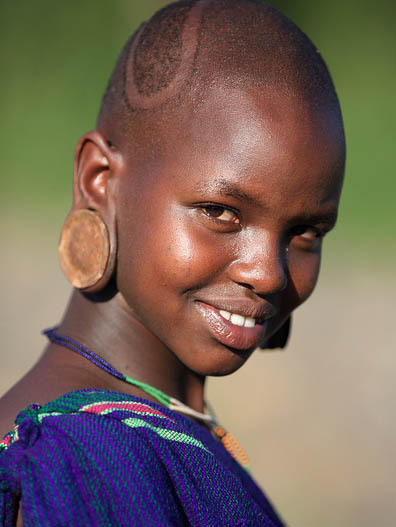 In Africa and other third-world countries, ear-marks have gone to crazy lengths like the photo above. They are used as signs of beauty, yet in many instances they designate the tribe to which the wearer belongs. I earmark many of my blog posts to appear in later eBooks. How about you? What object do you earmark for a certain use? Share in the comment section below. Share Your World (#SYW) ~ July 10 Share Your World (#SYW) ~ July 19. Makes so much sense, but never thought about how this word came into its present usage. Thanks for your visit, Corinne. Yes, often we use terms without thinking of the meaning. I love knowing info like this. Keep ’em coming! Thank you Lisa! Good to have you visit. I earmark a lot of things, but it is interesting understanding what the word originated from. Seems like cows have their ears in everything! LOL! So true, Jennifer. Thanks for the visit. Thanks for stopping by, Akshata! Keep on earmarking those articles to write! That African earmarking seems to have become the latest Western trend too Shirley – obviously our youth all want to be earmarked! The first time I saw an African with a huge plate in his ears I was horrified. It looks so heavy and uncomfortable! I haven’t seen much of that in S. Africa among the “white” folk, but certainly it is almost inevitable they’ll have more than one ear-piercing and often in the lip or nose. They’re crazy! Hope I used that phrase correctly. Thanks Shirley. Absolutely Vinay. Thanks for stopping by! Enjoyed reading about the history of this word.Definitely a great way to increase word knowledge. Thanks Amrita. It’s a fun project, researching one phrase each week, following the alphabet.